It's Halloween, and so I eagerly ready myself for the ringing of the door bell and the uttering of "Trick or treat" that signals the start of the event. Decorations are strategically placed. Candy is set out in the treasured spooky pumpkin vessel complete with bewitching sounds. New purple and white lights sparkle against an array of seasonal delights as the first Halloween trick or treaters approach. The door bell rings and I am struck with awe at the multitudes of children and parents parading in large groups in front of my eyes. I can't help but feel elated by the engaging smiles, sounds of friendly families, and excited voices of children of all ages. As I watch the parade of costumed characters, dressed in their ghoulish garb or fairytale princess looks, I realize that the neighborhood is once again alive with children's laughter and the spirit of connectedness, for it was but one year ago when the annual trick or treat event was dimmed by the Long Island disaster, Superstorm Sandy. This year, it appears as if there are no remembrances of a menacing storm that darkened the neighborhood last Halloween. There is a clear walkway for the parade of gleeful celebrators of Halloween. As I watch the scene, I sense a spirit of bonding and happiness. There is a feeling of newness that was lost by the events of last October. Halloween is a happening this year in my neighborhood in Rockville Centre. I keep staring at the scene outside my window because there seems to be a Norman Rockwell spirit that pervades my neighborhood. Watching families join together, sharing the sheer pleasure of togetherness appears to be a throw back to years ago when my own children were walking the streets of the neighborhood with buckets in hand and parents towing in the background. Remembrances of years gone by overrides the memories of last Halloween when the streets were barren, the houses dark, and the general feeling of sadness and exhaustion caused all to be heavy of heart. I take what I see this Halloween as a sign of a new direction. As nightfall begins to darken the sky, the after dinner trick and treaters are still coming to the door. Luckily, the candy bowl has been replenished after a mad dash to the supermarket. The doorbell seems to ring every five to ten minutes, but it is with pleasure that my family greets the little children that seem to be having a wonderful Halloween this year. I am truly enjoying this event that is connecting the neighborhood together once again and I hope that this is so all over Long Island. From my neighborhood to yours, I wish you the spirit of connectedness. We reflect on past practices. We engage with colleagues. We discuss. We collaborate. We push our thinking. We move to the next level. We become a collective voice of the information age. Gone are the days of the factory model when doors were closed and teachers worked independently of each other. "Technology has taken us to an new level where we can collaborate beyond our wildest imaginations." (Tom Whitby) So, it is time to get connected, build a PLN, and grow as a lifelong learner. Connected Educators is continuing its October campaign to help educators thrive in a connected world. Be part of the movement to connect, collaborate, and build your personal learning network. Be like our students who are asked to notice and wonder. Find a topic, explore your thoughts, and be bold enough to join the conversation. Yesterday, I joined the moderating team of Tony Sinanis, Bill Brennan, Blanca Duarte, Vicki Day, and Starr Sackstein to relaunch #NYedchat. The conversation was buzzing about what being connected means and why it is important. Before the conversation started, I read that Twitter has become one of the must-have tools in the educator's toolbox. Stay tuned, stay informed, stay connected slogans to drive conversations are everywhere. So I ask myself, why is Twitter a must have tool? With fast-paced conversation via 140 characters it provides asynchronous professional development. It has opened my doors, impacted my thinking, teaching practices, and learning. Twitter has become a constant source of information and new ideas to examine. Further, it has given me the opportunity to discuss timely topics with educators around the globe. Conversations are fast, articulations well-crafted, and my network is broadened each day. I am humbled by the experience of co-moderating topical conversations that link educator to educator. If Twitter is a source of information for educators, what is needed is a growing body of educators to become connected. It has been noted by Tony Sinanis that NY educators are under-represented on Twitter. Research did not provide this thought. It is based on his exchanges and connections. Will #nyedchat be able to turn the tide and draw more educators in to the conversation? The moderating team hopes that this will become a reality. As we draw closer to the next NYedchat, please mark November 4, 2013, 8:30 pm on your calendar. Out-of-state educators and parents are welcomed to join the group as was the case with the relaunch event. As a collective group of impassioned New York educators, through #nyedchat we can open doors, go beyond the walls of our classrooms/buildings/districts, and bring back fresh ideas. We can engage with a broader range of educators. We can connect with current and new colleagues to learn. In addition, we can join conversations that validate our beliefs and bring about change in daily practice; learn from each other; allow global conversations and perspectives to frame new thinking about education. With one purpose, we can rise like the phoenix, a fire bird igniting the flame that connects us all to the one reason why we came into the profession. Join the NYedchat moderators as we soar throughout New York State as one committed body of educators ready to build the next generation of critical thinkers, resolute decision makers, and creative problem solvers. Comments are welcomed and can be posted below or on #nyedchat. The concept of ethical leadership is one that cuts across all organizations. It is a topic that stands alone in a world fraught with fears, materialism, and intensity. A reflective perspective is needed when speaking about this topic for discussions to be fruitful. The #leadfromwithin PLN posed this topic last night and through a series of well-structured questions elicited thoughtful responses. Being that the exchange was philosophical in nature, I lurked temporarily while reflecting on the intensity of the questions and the flow of conversation. I jumped in when I felt ready to voice my opinion. Pointed questions encouraged the professional learning community to speak their mind from a lead from within stance. Statements surfaced as quickly as questions were posted. Engrossing, stimulating conversation led me to ponder each thought. Lolly Daskal kept the pace flowing in the hour-long talk that she described as empowering. Not knowing the community of learners, I was truly impressed by the questions put forth and the collegial nature of the respondents. In today's multi-modal, fast-paced world, leadership is a fine balancing act. Leaders look to the future while building a foundation of trust. Organizations grow because of such strategically-minded leaders who have vision and an ethical code of conduct, housed in a defined set of beliefs. With toolbox in hand, ethical leaders explore new ground with their stakeholders, using mission and vision statements powered by strategic plans to map the course. Norms to establish a common language are perched on top to be the first handout for step one of the journey. Reflection, assessment, and action, based on commitment to the vision, are the next layer of tools to further a collaborative spirit among participants. Without the resources, commitment, and passion to lay the course, organizations cannot proceed on a success-oriented path. 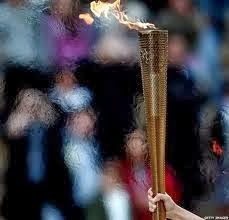 Ethical leadership lights the torch to move others along the path, beyond the norm, and onto a new landscape, but as Franklin D. Roosevelt once said, "A good leader can't get too far ahead of his followers." The leader must pave the way but with discretion, know when to slow the pace, reevaluate, and then move one step further. It is not about the distance we cover, but the depth of each leg of the journey. Leaders know the value of pacing while on the path. They model determination, resolutely guiding their organizations from a solid footing rooted in strong values and beliefs. Gathering momentum from the collective conscience of their groups, leaders move their organizations forward. One bright light in this world, can ignite a fire of change but it takes ethics, passion, and endurance, the marks of a resolute leader. As you move steadfastly on your journey of growth and instructional change, be ever mindful that ethics drives your course. Dream, become a learner, inspire, build momentum, and act in a way that others will willingly follow your path. The road is rocky, but the goal of positively impacting the teaching and learning lives of others is noble. Be the guide on the side, not the sage on the stage to courageously move forward. Networking is about collaborating, actively engaging, and connecting with colleagues to learn, validate your beliefs, or affect change in daily practice. It is going beyond the day's work to spend time growing as a professional. In today's connected age, real time conversations happen every day in a Twitter environment. There is no face-to-face talk but there is threaded conversation found in 140 characters. Ten years ago, when I founded the Reflective Pathway community of committed district educators, collegial conversations were face to face or with a small circle of critical friends conversing via a listserv. My conversations today have moved to a more global level through blogging and tweeting where there are no boundaries and no limits to the potential of thoughtful conversations. I once again give credit to Tony Sinanis and JoEllen McCarthy for introducing me to the world of 140 character conversations. I "lurked" before cautiously committing to tweeting and blogging, knowing that my thoughts would be in the public domain. 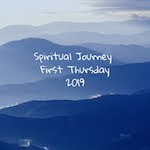 But due to the trusting environments of various PLNs, I have moved forward as a connected educator with a small network of educators in New York State, across the states, and even across the seas. Beyond these steps, I have now journeyed to become one of five co-moderators of NYedchat. Tonight at the kick off brainstorming session, high energy was felt and a structured approach to developing collaborative talk was discussed. 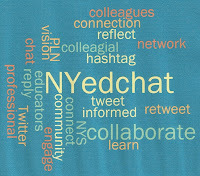 The launch of the 2013-14 edition of #NYedchat is now ready to air on Twitter on October 21, 2013 from 8:30-9:30. I invite you to join Tony Sinanis, Bill Brennan, Blanca Duarte, Vicki Day, and me twice a month to discuss timely topics of interest for New York State educators. 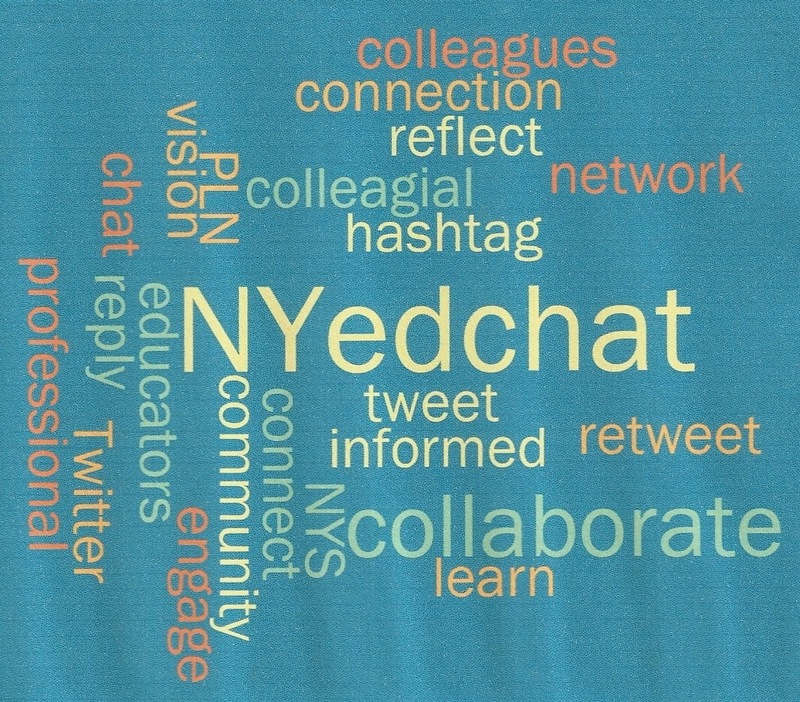 With the goal of connecting educators across New York State, NYedchat hopes to build a culture of open conversations, collaboration, and purposeful talk to grow connections and push educators thinking. All you need to do is tune in to Twitter twice a month on Monday nights to be connected to #NYedchat and share the vision. If you are new to Twitter, get a handle (mine is @lady1890) and tweet out replies to various questions posed by moderators. Reading is one of my passions but it is not a universal one shared by all. Sometimes, I think how sad it is to not have developed a love for reading; not to have grown up feeling the weight of a book in your hand or the thrill of reading late into the night. Indeed, books have magic. They helped me create my own private space and took me to places that I would never have been able to visit. They were the sights and sounds that I might never have heard other than in between the pages. As a child, books provided me with a feeling that I stored in the recesses of my mind for years and then, transferred to my own children. Growing up in a house of readers is a different picture than the one painted for many children in America. I remember the cries of children coming to elementary school with no gloves and little warm clothing during very cold snowstorms in upstate New York. There were the junior high students who did not own books and were not passionate about reading; the adolescent boys in the juvenile detention center that longed to know how to read despite their challenging situations. Thinking back on a career filled with struggling readers makes me reflect on the influences teachers have on children's lives. Passion for reading and learning is infectious. Provide print and e-books to high poverty school and class libraries from preschool to high school. 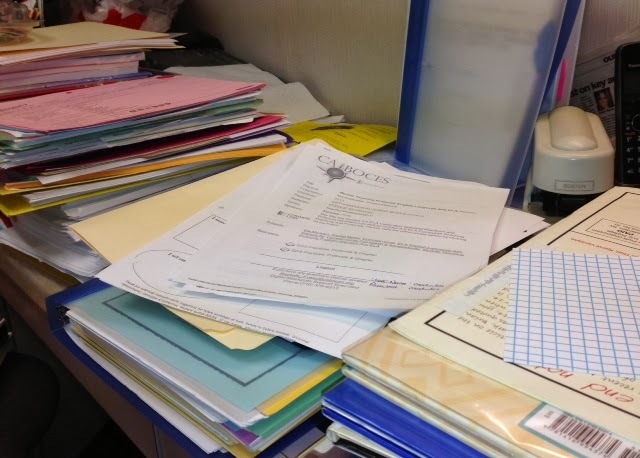 Develop a professional library for teachers with suggestions for collaborating to learn and improve instruction so teachers can prepare students to meet 21st century needs by developing problem solvers, expert readers and writers, expert users of technology, collaborators, and creative thinkers. The Robbs spoke of the opportunities reading provides for struggling learners and why they feel so strongly about the place of books in children's hands. Evan recounted a recent story of a middle school child who desperately wanted a book he saw at the Scholastic Book Fair in his middle school but did not have $7.99 to pay for it. Laura read student letters speaking of the power of reading and learning. Supported by UBS Financial Services and an Advisory Board of notable figures, the night offered pleasant conversations and reflecting time in an environment that highlighted a print-rich environment and the power that reading brings. There are so many students living in poverty who have not had the privilege of a book rich home environment. There are those who have not even been exposed to the public library or if they have do not have opportunities to frequent it. Books change lives. That is a clear message that we heard. "I hated reading in middle school and most of high school. I couldn't read the books. I couldn't write essays or stories. Reading gave me a headache. I was going to drop out, but my tenth grade teacher for my special help class told me I was smart. He helped with reading every day. He got other teachers to help me. I graduated high school. I'm starting college next year." This real voice from the classroom is one heard by many teachers across America. Laura Robb made the voice public. As a dedicated teacher for over 40 years, she has passionately prepared students for their roles in society and continues to provide teachers with guidance, research in the field of literacy, and modeled examples of strategic reading. Her love for reading and what it offers was felt by all in the room on Thursday night. With the Common Core rigorous expectations, voluminous reading is a priority. Developing children's passion for reading is a combined call to action for both parents and educators. Did you know??? 10% of American public schools don't have a central library where students can check out books. Each year 1.3 million high school students drop out due to poor reading and writing skills; more than half are students of color (Alliance for Excellent Education, 2010). 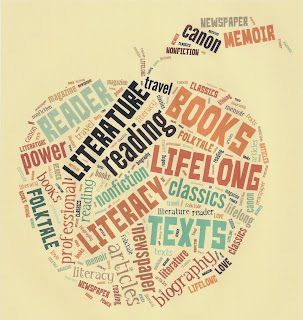 If inclined, you may wish to visit the Educator2Educator website to find out more about the noble cause of bringing books and ebooks to high poverty schools. Also, part of the initiative is to develop professional libraries for teachers to meet the challenges of creating learners who read like detectives and write like conscientious, investigative reports. Teachers may wish to apply for grants from the foundation. Information is noted on the website. United voices are heard across the globe today as we celebrate World Teacher's Day. Educator2Educator is but one voice speaking to the cause of the power of books to change lives. 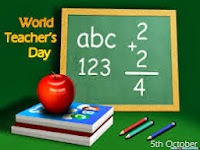 Today, October 5, 2013, marks the celebration of World Teacher's Day, sponsored by UNESCO and its partners, International Labour Organization, United Nations Development Program, UNICEF, and Education International. This year's theme, "A Call for Teachers," emphasizes the need for all learners around the world to have a quality education. Students must develop strategies and utilize appropriate tools to become globally-minded citizens and meet the challenges of a worldwide economy. In order to do so, a force of well-educated and quality teachers is needed. UNESCO is focusing on these issues today to eradicate the barriers to a quality education for all as it celebrates World Teacher's Day. As civic-minded individuals, we must be aware of the challenges to education in other parts of the world. Here on Long Island, with resources available, teachers continually assist students to become ardent learners who notice, wonder, and discover; but there are teachers in other parts of the world who do not have adequate resources and materials to support the call to educate. Likewise, there are regions where teaching and learning are luxuries; in the impoverished village of Masese in Uganda there was no educational system. Eating, going to school, and adequate clothing to wear were among the luxuries not afforded to the Masese people. Through the humanitarian efforts of local Rockville Centre residents, the Garrity and Silon families, a school has been established and training provided for the teachers. Ongoing endeavors have supported the growth of the school from a population of 40 student to 300 and a cottage industry of paper bead making for the women. With these stepping stone efforts, the quality of life and better educational opportunities now exist and continue to grow. Were it not for the sustainable humanitarian efforts of world-wide organizations such as H.E.L.P. and the grassroots' efforts of dedicated individuals, issues of poverty and its impact on education would not be addressed. The call for quality education on a world-wide scale is an important one. Children around the globe need equal access to education and their teachers need adequate training to meet the demands of today's rapidly changing world. Let's celebrate teaching and learning today as we salute the global teaching profession who are the guides and the backbone of the educational system. Happy World Teacher's Day to All those who Inspire and Impact Learning Every Day! Leaves of absence are a necessary part of the process of growing as educators because it gives you breathing time - time to absorb what is around you - time to linger on conversations and reflect on where you are going - time to ponder the bigger picture. We all need time to step back and reflect. When information overloads your circuits, it is time for a temporary leave of absence. I am sure that you will be refreshed and ready to chat, ponder, and reflect when you come back to your tasks at hand. Carve out pausing time to allow for self-assessment. Don't delay. Of course, I have been thinking that for months but what happens to the paperwork that still keeps piling up. Who takes care of that during pausing time? Help! Each year, the season of autumn provides a fresh lens for a hurried world. It quietly walks in, draping and transforming landscapes in seasonal splendor. For those with an appreciation for change, Autumn offers a reflective window on life. As it boldly states its charge to redesign environments, it allows for brief interludes of quietude. During these times, we see, hear, and view movements of nature with refreshed awareness. We witness subtle changes occurring. With each alteration of nature, Autumn moves reflective observers closer to grasping the magnitude of the moment. People pause in awe of the bounty the season brings. 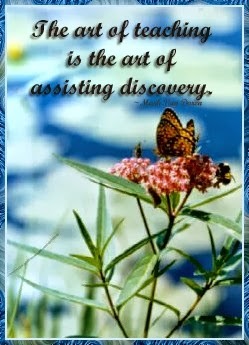 Minds are opened to new noticings and wonders. Thoughts are reframed from the inside out. Autumn nods in response, showcasing itself as a season of transitions. While Autumn is often referred to fall, it is not the reality of leaves descending that one ponders. It is the graceful movements and scenic landscapes that are captured by Autumn's lens. The season transcends the act of falling to become a backdrop for transitions. Being nature's change agent, it brings new possibilities to a world ready for color. 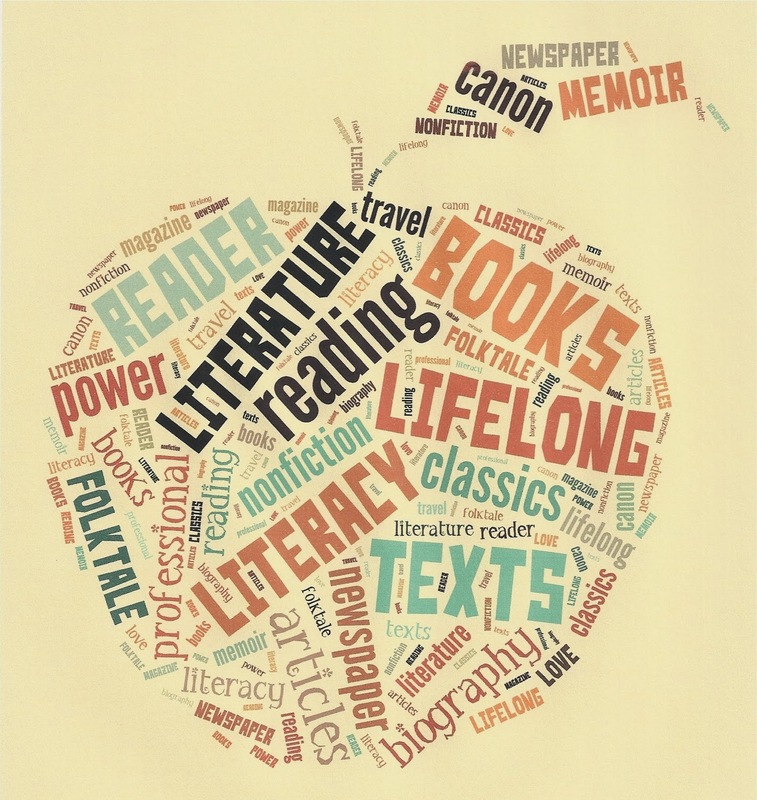 Teachers embrace Autumn each year, as they transform their literacy spaces into visually-engaging environments. 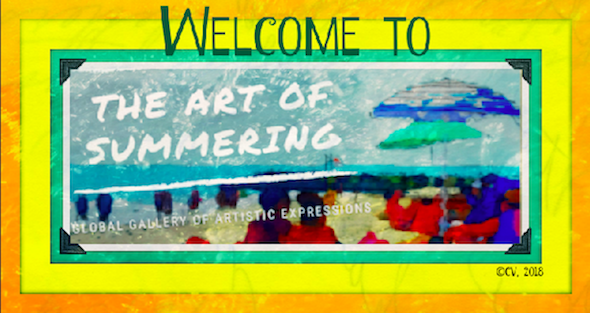 They, as change agents of the educational world, transition students from summer landscapes to autumnal learning laboratories where Common Core standards and shifts are evident in daily instructional practices and lessons. 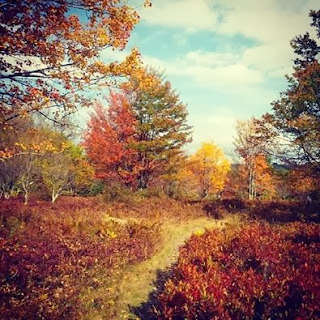 As Autumn days move on, nature turns its attention to seasonal changes while practitioners shift their focus to long term learning targets that impact instruction and achievement. Shifts regularly occur in both the world of nature and the educational world. October bursts with the colors of the season, as does the classroom. Sounds of the season enter school doors. From feet scuffling through crumply leaves to luscious bites of crunchy apples, Autumn speaks. From trees ablaze with color to classrooms alive with seasonal sights and decorations, Autumn signifies change. From Indian summer days to cooling breezes, Autumn asks observers to take note of their changing surroundings while teachers do likewise in the classroom. Utilizing transitions, teachers lead students to explore possibilities in collaborative environments. In turn, students observe, pair share, and wonder where their new learning can take them. It is through life's transitions that change is embraced and growth emerges. Autumn is a time for transitions. It asks that you be observant of your surroundings that change to brilliant colors of burnt sienna, goldenrod, chestnut, and maize. As you breathe in the fresh Autumn air allow the season to be your guide to rethink and redesign your spaces. Let go of the hurried pace, slow down, and embrace the transitions that lead to new travels as a life learner.